Perfect for Rock, Pop, Metal, Punk, Indi, Blues, Jazz, Fusion, Soul, Funk, Gospel Bands & more! Why not split the cost between your band members and get your songs professionally recorded ready for digital release and radio play? Create more online presence by filming your bands session! We can film your live recording takes to create a mini music video which is a cost-effective way of creating content for a youtube channel and other social media platforms. Not only do we have a live room large enough to cater for live bands who wish to record simultaneously but we have a wide selection of vintage and new drums kits as well as guitar amps, preamps and a vintage modelled analogue mixing console to get that big warm sound that is hard to obtain when recording straight into mic pres that are often built into soundcards. 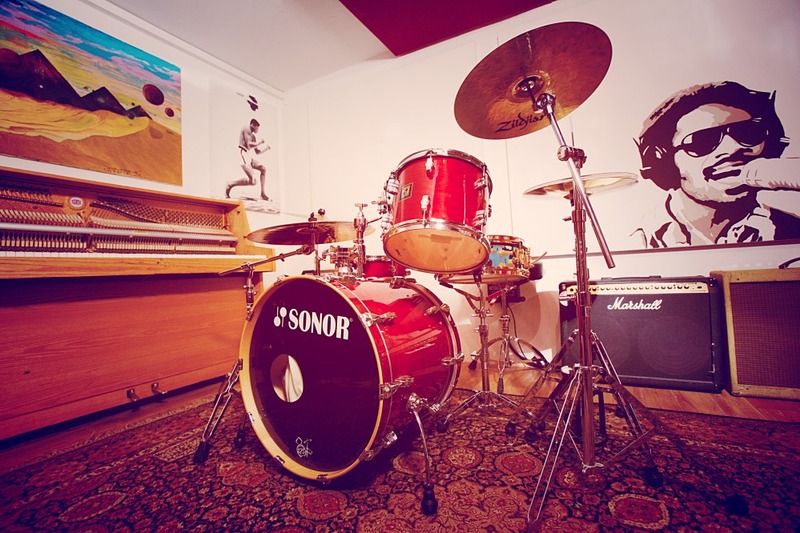 Of course, bands are more than welcome to bring their own drum kits and amps if you have already created your sound with the equipment you own. We understand budgets are tight and as a band, you’d like to maximise your studio time without having to wait hours to set up and mic just the drum kit. 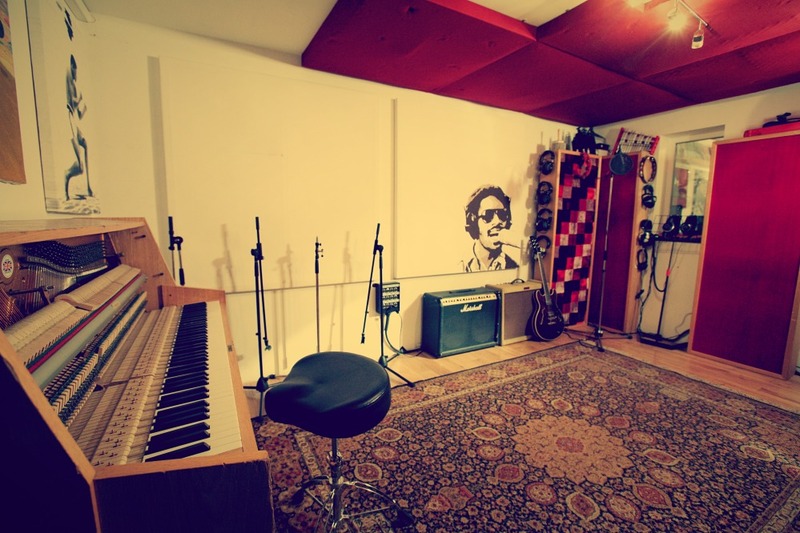 So, as we know our studio set up so well, we can get your band recording within approximately 1.5 – 2hrs hours which includes setting up the drum kit, microphone placement, getting the right sounding guitar(s), setting up keyboard(s) bass, guide vocals and most importantly a decent monitor mix for everyone. 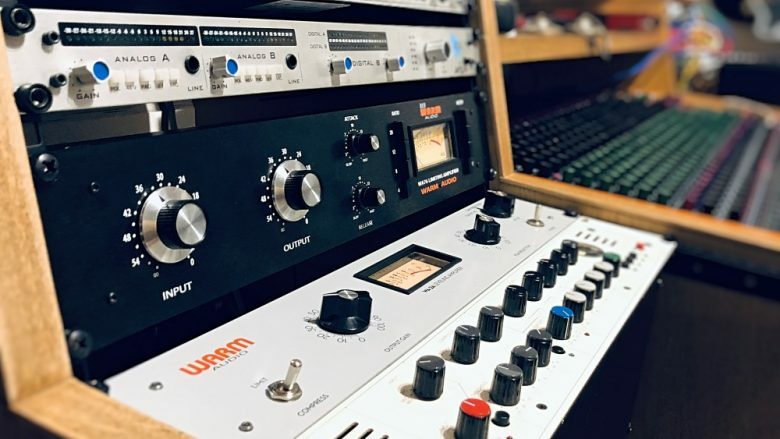 Our engineers/producers have the experience and knowledge to guarantee to get your band top quality results and it’s worth noting the more post-production and polishing that goes into the songs the better they will sound. Our band packages include an engineer, set up and taking away basic reference mixes. Prices are based on a band being well-rehearsed, organised with arrangements and as tight as possible! Mixing and mastering are not included in these package prices and are optional. OK, IM READY TO BOOK!